Cryosurgery: The dermatologist applies liquid nitrogen, a very cold liquid, to the growth with a cotton swab or spray gun and this will freeze the growth. The seborrheic keratosis tends to fall off within days. 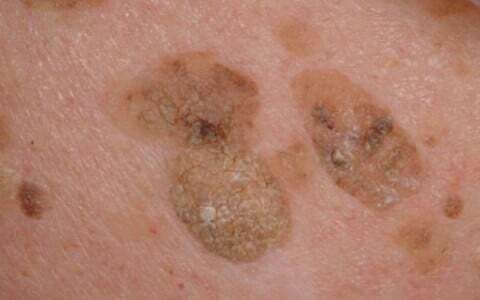 Sometimes a blister forms under the seborrheic keratosis and it subsequently dries into a scab-like crust. The crust will fall off. 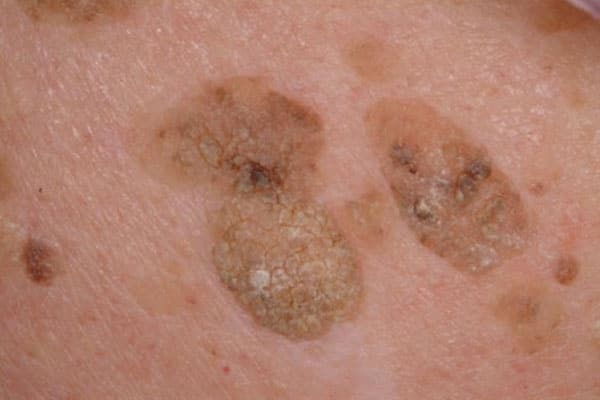 After removal of the seborrheic keratosis, the skin may be lighter than the surrounding area but it usually fades with time, although sometimes this discoloration may be permanent. Most removed seborrheic keratoses growths do not return, but it is likely that a new one may occur elsewhere.